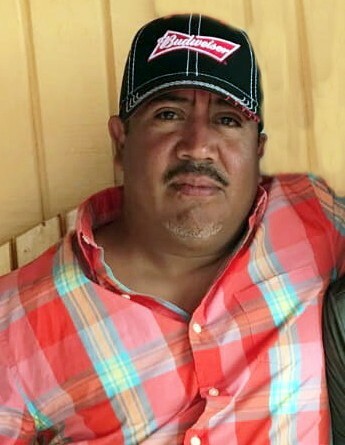 PROGRESO – Benjamin Zamorano, 40, passed away Sunday, January 20, 2019 at his residence in Progreso, TX. He was born October 25, 1978 to Roberto and Julia Zamorano in Mexico. Benjamin is survived by his wife, Elvira C. Zamorano; son, Benjamin Zamorano, Jr.; daughters, Samantha Zamorano, Jessica Zamorano, Jaqueline Zamorano, Lilyana Zamorano; and grandchild, Benjamin Alexander Zamorano. Also surviving him are his parents, Roberto and Julia Zamorano; brothers, Juan Zamorano, Jorge Zamorano, Robert Zamorano; sisters, Bertha (Sal) Guillen, Nohemi (Isaac) Esquivel, and Sarai Zamorano. Viewing will be held Wednesday, January 23, 2019 from 3:00 p.m. to 9:00 p.m. and Thursday, January 24, 2019 from 9:00 a.m. to 9:00 p.m. with a Prayer Service both days at 7:00 p.m. at Templo Manantial de Vida in Progreso, TX. Chapel Service will be held Friday, January 25, 2019 at 11:00 a.m. at Templo Manantial De Vida in Progreso, TX. Interment will follow at Heavenly Grace Memorial Park in La Feria, TX.